2Put the country bread slices for 4 minutes, or until they get sedately golden-brown color. 3In a Vitamix Blender add the ½ cup shredded parmesan cheese, ¼ extra-virgin olive oil 1 teaspoon fresh garlic paste, 1 tablespoon olive oil from the anchovy filet jar, zest of 1 lemon, ½ cup fresh parsley. 4Secure the lid. Turn machine on High, 4-10 for 4 seconds and stop. 5Soft boil the eggs for 4-5 minutes. 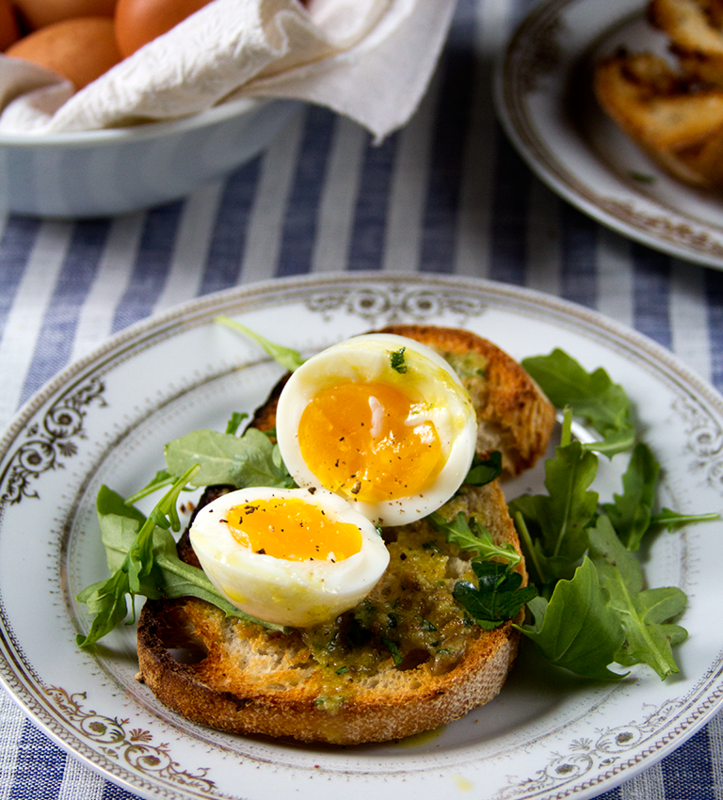 Serve it over parmesan-anchovy toast with arugula salad on the side.